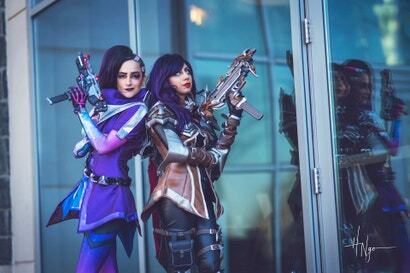 With Katsucon nailed down as a time and place, and with Blizzard giving their blessing to the project, Jasmine—who has cosplayed as every Sombra skin ever made available in Overwatch—and Ravassa got to work. 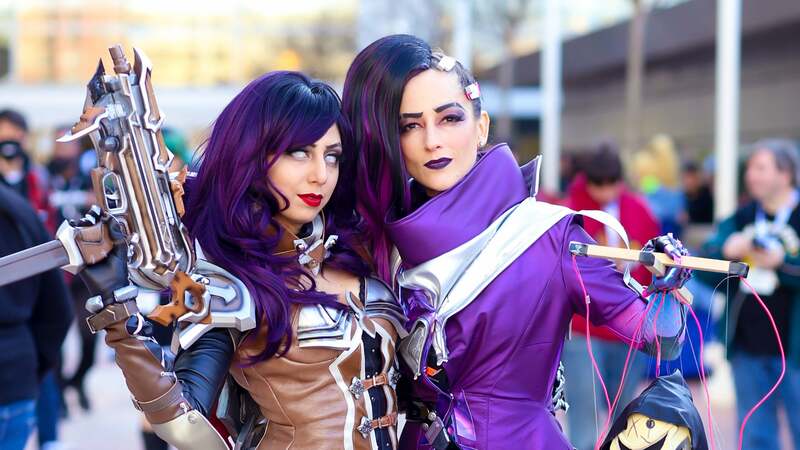 Carolina’s costume was made by Jasmine from a custom pattern designed to fit her perfectly, and was crafted from spandex, pleather, vinyl and epoxy resin casts. Once the pair were both dressed and made-up, it was time to hit the con floor at Katsucon. 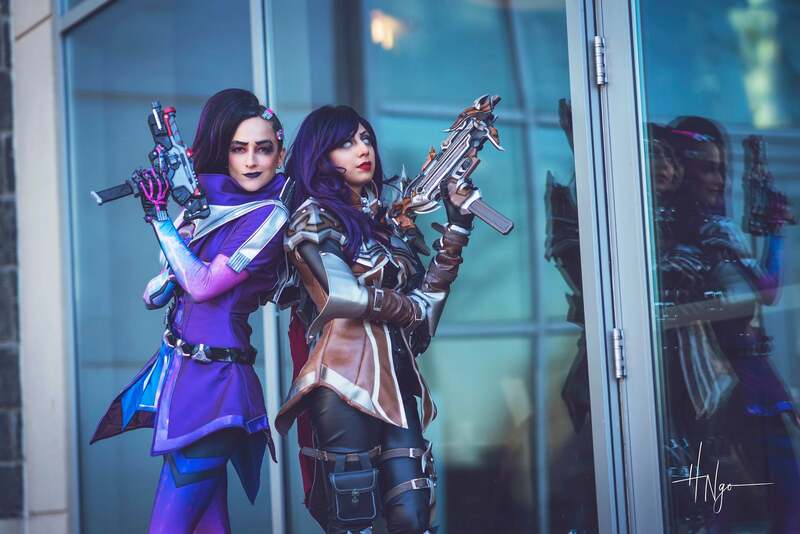 In this video below by fred.camera, you can see the whole day’s action, from dressing and make-up in the morning to meeting fans to running an Overwatch voice actor panel. 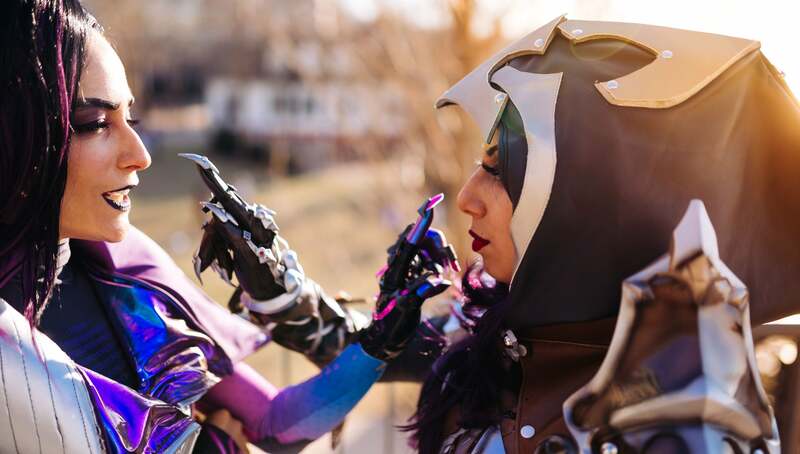 Throughout this post you’re seeing images taken by photographers of the pair during Katsucon, but if you’d like to see more from the show, you should check out Kotaku’s coverage from last month.